Atlatl and Dart Sets, unique, memorable and practical gifts! Order Today! Are you looking for a unique gift that will tie in history, sport, exercise, science and fun? Well, an atlatl and dart set combines all that and more! Plus atlatls and darts can be used by people of all ages! Atlatls and darts are a great inter-generational sport. People from youth to elders and everybody in between enjoy atlatl competitions and games throughout the United States. Thunderbird Atlatl is proud to offer our wide variety of atlatls, darts, atlatl kits and dart kits for holiday gift giving. Order now, before November 30 and beat the holiday crunch. 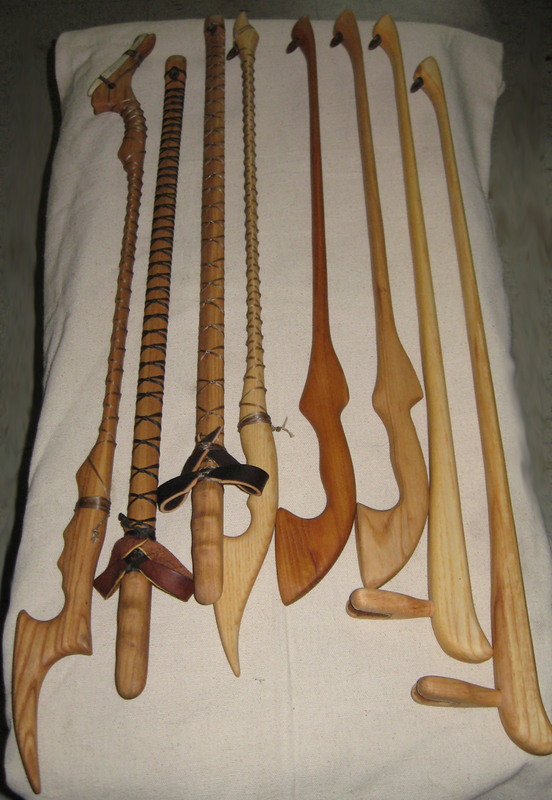 We make atlatl sets that have been tailored to various kinds of atlatl users. We offer tried and true hunting equipment and fishing harpoons as well as target equipment designed for individuals at every level of atlatl competition from absolute beginners to advanced competitors. We also make equipment especially designed for group activities like Boy Scouts, 4H clubs or other youth and adult oriented organizations. Atlatl clubs and organizations abound including the World Atlatl Association and many regional groups. And you could always start your own group. Our atlatls and darts are truly made in the United States from locally grown hardwood and materials. All of our atlatls have been designed by us and made in our shop. We pride ourselves on our over 20 years of service to the atlatl community. Atlatls, a sister sport to archery are delightful gifts because they tie in so many interests together into one package from flintknapping, competitions, atlatl hunting, atlatl fishing, and survival skills. In the primitive skills arena, atlatls are often part of workshops that combine fire by friction, cordage making, flintknapping and fletching. Atlatls also have an interesting connection to history and pre-history. Atlatls require a shorter range than archery and it is easy to set up a little competition area in a back yard or field near your home. Atlatl ranges can be set up in areas as small as alleys between buildings or inside larger buildings with 12 feet or more of ceiling height. You just have to make sure that an errant shot will not damage anything behind your target. Thunderbird Atlatl Bob Berg’s expertise covers over twenty years of experimentation, learning and teaching throughout the atlatl world. Bob has taught hundreds of workshops throughout the United States and Europe. Check out our various atlatls and give us a call at 800-836-4520 or email us at contact@thunderbirdatlatl.com with questions. We look forward to hearing from you. Shown below are some of our atlatls and darts. Our darts come in five, six and seven foot sizes. Fletching colors vary depending on supply. 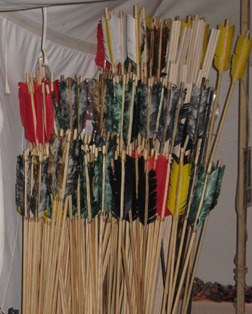 Thunderbird Atlatl offers a wide variety of atlatls and darts.